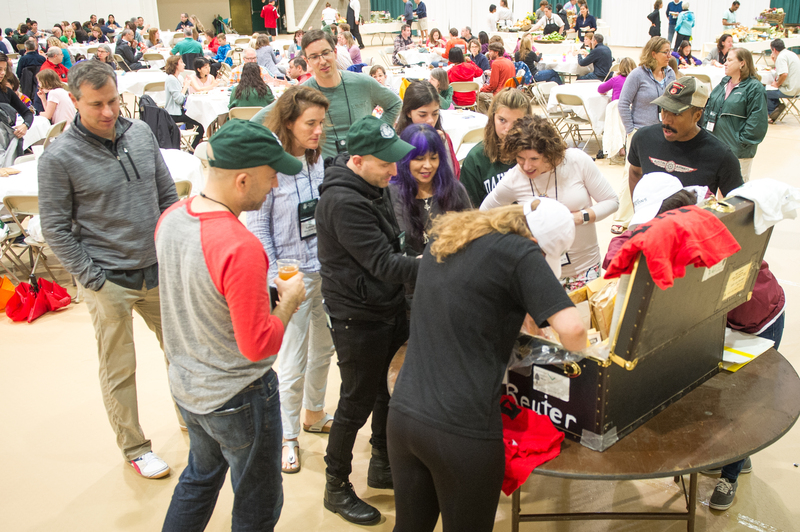 Squeals of joy and laughter rang out across the Leede Arena last Friday as members of the Class of 1992 opened the time capsule they filled during their senior year. 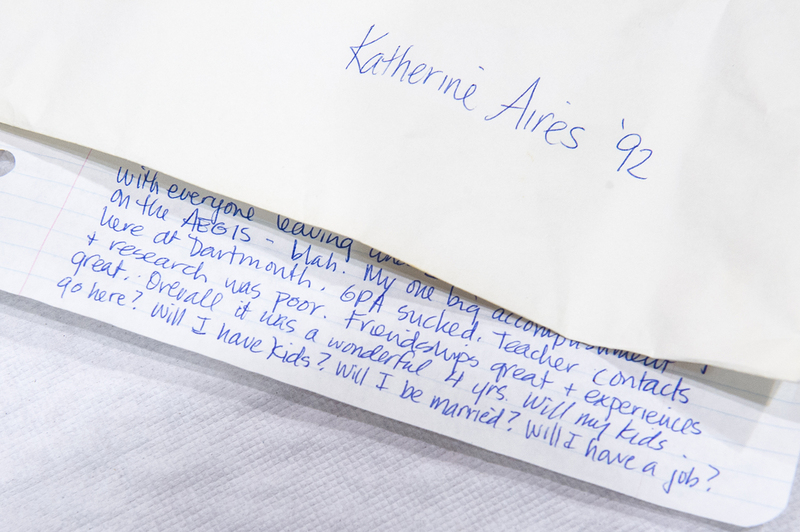 Now, 25 years later, alumni sifted through the letters, photos, and a variety of ephemera they left for their future selves. 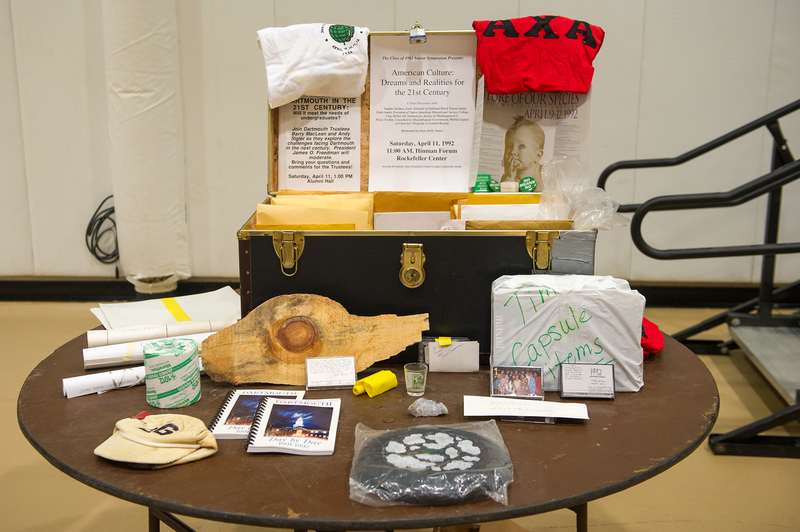 Mix tapes were one of the most popular items to be included, but there were also some surprises, including a shot glass, a roll of toilet paper, and a Bones Gate fraternity hat. 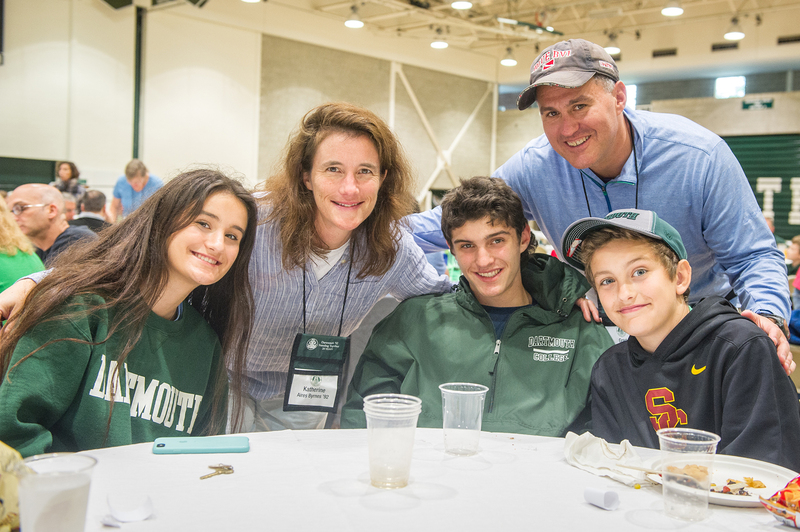 His wife, Sarah Brooks ’92, recalled the moment. 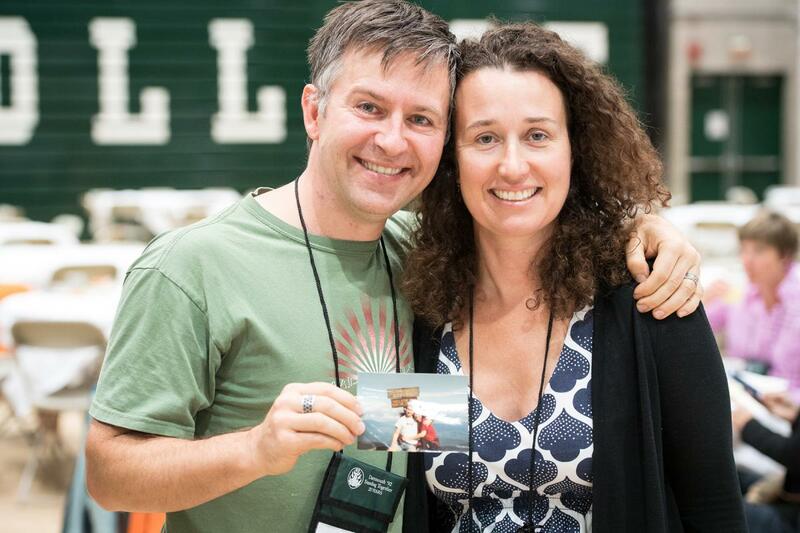 “I was harassing him because he put in this Phish tape, but nothing about me,” she said. “But I guess I knew then that it could be a little risky to put something about your girlfriend in there.” Gunderson had a surprise up his sleeve, though, as they opened an envelope together and they found a photo of themselves together at the top of Mount Moosilauke. “I knew then that the love was real,” he said. The couple married 10 years after graduation and have two children. 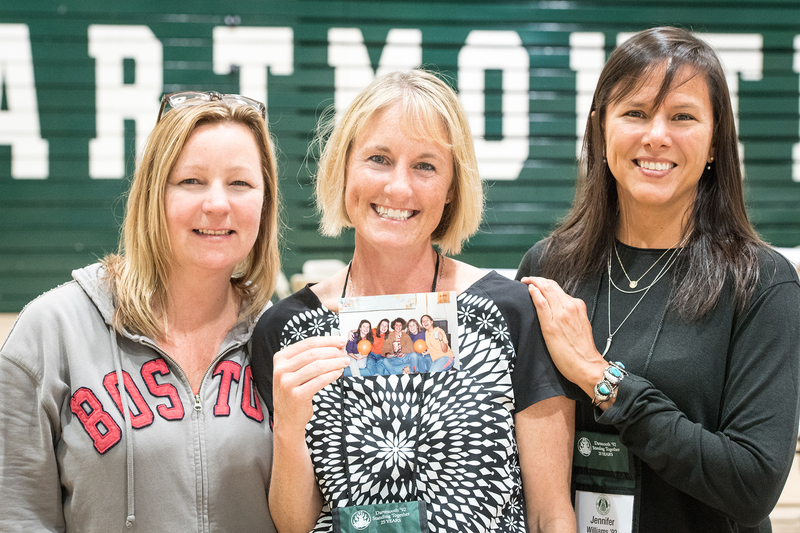 Luckily, all alumni had the opportunity to leave another piece of themselves for the future. 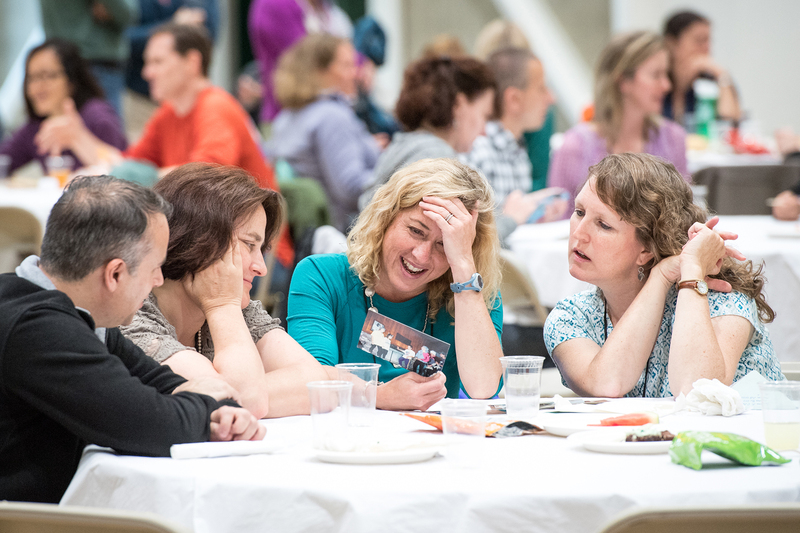 At their class banquet on Saturday, the Class of 1992 left themselves letters, photos, and predictions for what the next quarter century holds. Tune in again in 2042 to find out what they left! For more photos from this event, please visit our Flickr album.